In 1878, Amy Millicent Sowerby was born in Northumberland to the designer and children’s book illustrator John G. Sowerby. He was fond of illustrating in a similar style to that of Kate Greenaway; later on he turned to landscape art. Finding encouragement at home, young Millicent took some art classes for several years but the the distance from home, prevented her from attending them for more than two days a week. In the end, she was known as being mostly self-taught, learning from the work of other illustrators. Millicent’s sister became a collaborator with her in children’s literature. Githa authored stories and verses while Millicent illustrated them. Although their partnership lasted over 20 years, Millicent also became a prolific illustrator of children’s picture post cards depicting scenes from Shakespeare and the Kate Greenaway type girls. Active even into her 80s, Millicent focused on watercolour paintings, specialising in flowers. Sadly, Millicent died in 1967. The depiction featured above is from the children’s author: L.T. Meade’s story – “Angel of Love,“ which was illustrated by Millicent Sowerby, ca 1915. 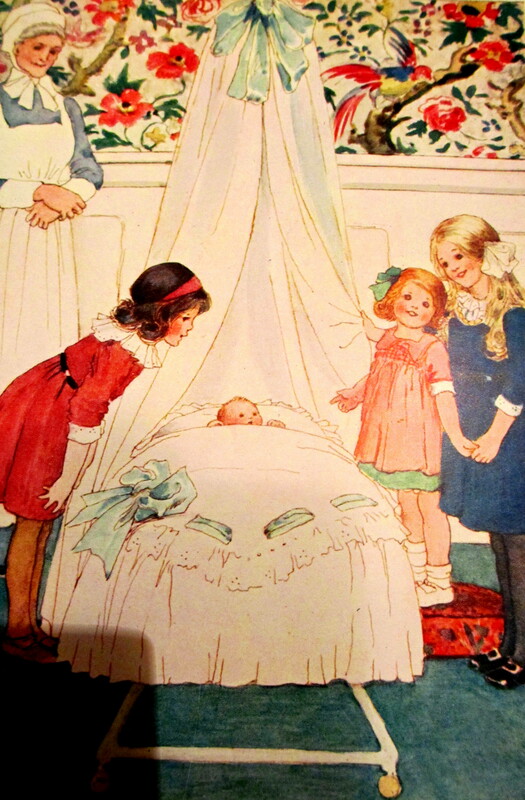 This entry was posted in Illustrations, Watercolours and tagged #Children'sBooks, Amy Millicent Sowerby, Angel of Love, children's illustration, illustratie art, John G. Sowerby, Kate Greenaway, L.T. Meade, Millicent Sowerby. Bookmark the permalink.